Having troubles configuring D-Load on your mobile device ? Check out this tutorial ! The first part of the guide will help you connect to your D-Link NAS from D-Load in your LOCAL network. That is, when using WIFI on your home network, where your NAS is also connected. 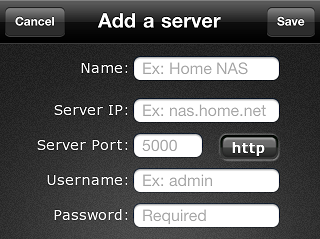 The second part will help configure your router to make your NAS visible to the Internet. This will allow the connection from D-Load using EDGE/3G, or from a public WIFI HotSpot. Check that the BitTorrent addon is installed (if you want to use it), or you can skip this part. 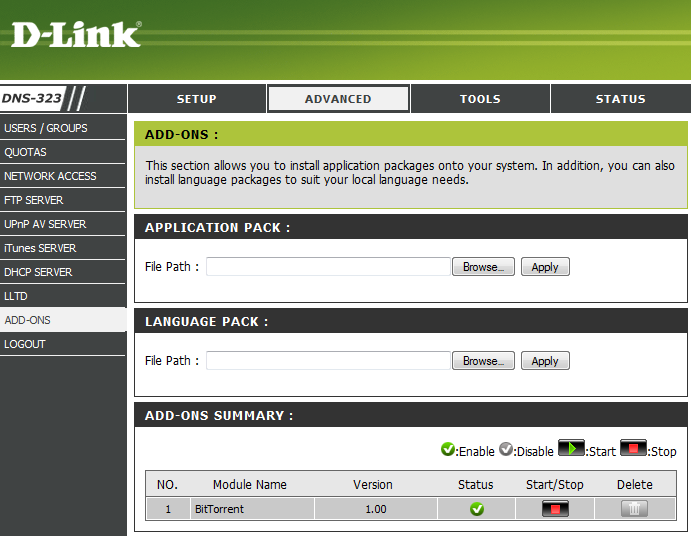 If not installed, you can download it from the D-Link website, or directly here. Once all that information has been gathered, you can configure D-Load. Enter the IP Address, the Port, the protocol (http or https), username and password, and connect. Once connected, you will be able to add new downloads ! 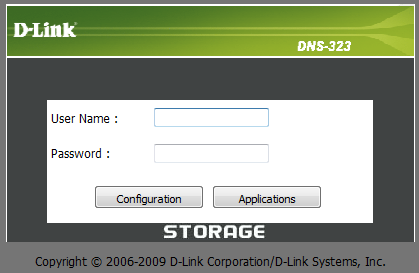 First, find out the public IP address of your D-Link NAS. For this, go to http://dev.patey.net/ip. You can use the web browser from a computer in the same local network. Once done, you should be able to create a second server configuration in D-Load , and put your public IP address, the outside port (on the left) you've chosen, and the login/password.